Indians Baseball Cards: 2018 Allen & Ginter Charity Case Break is finally HERE! 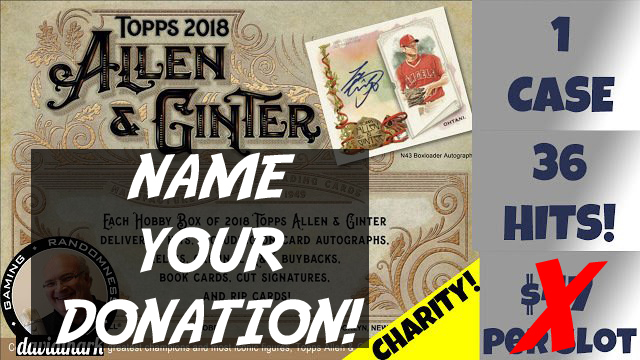 2018 Allen & Ginter Charity Case Break is finally HERE! It's here!! The 2018 Allen & Ginter Charity Case Break has arrived at Tribecards!! That's right, we are helping Crackin' Wax raise money to help Big Brothers and Big Sisters! All the rules, details, etc are on the "Allen & Ginter Case Break" page at the top of this site - or just click here! Sign up on the HUB page today! Note: Deadline to register AND pay is August 11, 2018.